How Do I Install My Wireless Network Access Points? 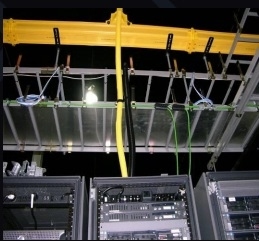 Cost effective Data Center Move, Rack & Stack services. Cost office technology move & relocation services. Breaking Down the Choices Cat5, Cat5e, and Cat6: Which is Right for your Company? Intel's Disaggregated Server Rack Is A... Mainframe Replacement? Should You Switch from Copper to Fiber? The worst deals in tech: Are you being fleeced by these 7 overpriced products? Crowd sourcing and Expert sourcing techniques and engines will be part of small and corporate businesses. How Much Does Amazon, Google and Facebook and others Make per second? Will WiFi replace ethernet cable ? What is Expert sourcing and why ? Let’s face it, all but the largest enterprises would prefer to not to have any IT professionals on staff, or at least as few as possible. It’s nothing personal against geeks, it’s just that IT pros are expensive and when IT departments get too big and centralized they tend to become experts at saying, “No.” They block more progress than they enable. As a result, we’re going to see most of traditional IT administration and support functions outsourced to third-party consultants. This includes a wide range from huge multi-national consultancies to the one person consultancy who serves as the rented IT department for local SMBs. I’m also lumping in companies like IBM, HP, Amazon AWS, and Rackspace, who will rent out both data center capacity and IT professionals to help deploy, manage, and troubleshoot solutions. Many of the IT administrators and support professionals who currently work directly for corporations will transition to working for big vendors or consultancies in the future as companies switch to purchasing IT services on an as-needed basis in order to lower costs, get a higher level of expertise, and get 24/7/365 coverage. Most of the IT workers that survive and remain as employees in traditional companies will be project managers. They will not be part of a centralized IT department, but will be spread out in the various business units and departments. They will be business analysts who will help the company leaders and managers make good technology decisions. They will gather business requirements and communicate with stakeholders about the technology solutions they need, and will also be proactive in looking for new technologies that can transform the business. These project managers will also serve as the company’s point of contact with technology vendors and consultants. If you look closely, you can already see a lot of current IT managers morphing in this direction. By far, the area where the largest number of IT jobs is going to move is into developer, programmer, and coder jobs. While IT used to be about managing and deploying hardware and software, it’s going to increasingly be about web-based applications that will be expected to work smoothly, be self-evident, and require very little training or intervention from tech support. The other piece of the pie will be mobile applications — both native apps and mobile web apps. As I wrote in my article, We’re entering the decade of the developer, the current changes in IT are “shifting more of the power in the tech industry away from those who deploy and support apps to those who build them.” This trend is already underway and it’s only going to accelerate over the next decade. Innova adheres to installation practices that ensure performance and reliability. Pre-site visits to the work site and thorough inspections precede every Fiber optic cable infrastructure installation. Our Engineers and technicians are trained know the industry standards and apply them based upon the realities of the site environment, including working around and avoiding potential problems. Innova specializes in fiber optic splicing and testing services and provides these services on-site year-round throughout the United States. Innova is one of the most experienced and established fiber optic installation companies in the California, New Jersey metropolitan area. We specialize in the complete installation of business communication systems with structured voice and data cabling design and infrastructure. We are committed to supplying the equipment and systems which build a scalable network that will meet your company's needs not only today, but for many years in the future. 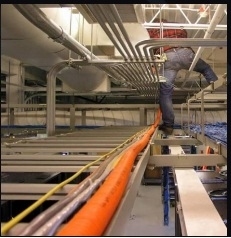 As a Fiber Optic contractor, in addition to fiber cabling, we work with Cat 5e, Cat 6, Coax, Horizontal Cabling, Backbone Cabling, Server Room, Data Room Building / Datacenter Build outs. The race between Copper and Fiber was won, and the incontrovertible winner is fiber. Whether for IP streaming video for residential consumers, Virtual Private Networking (VPN) for telecommuters, or point-to-point T1 services for businesses, only Fiber Optics can satisfy the wide-ranging needs of an entire community. Fiber Optic contractors know that the use of a Fiber Optic Network minimizes maintenance expenses because the in Fiber Optic Network signals are not affected by electrical noise. Exempt from FCC-mandated sweeps, fiber reduces operation and maintenance costs for an outside plant. Fiber also drives much longer loops than copper and there is no ongoing plant tuning. 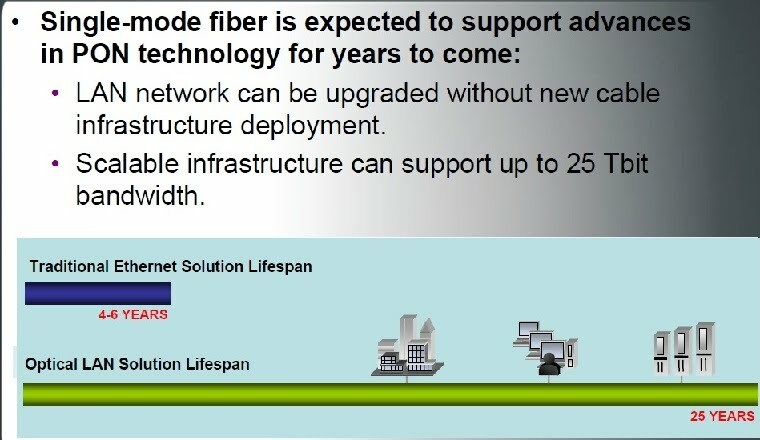 Additionally, the Fiber Optic Network has an estimated Interior/Exterior, LAN, WAN, and Plant life of more than 35 years. On the other hand, copper cable is delicate. It only has a 25 pound pulling tension limit and kinks will ruin the high speed performance. With fiber - even though it's glass fiber - it has more strength and greater tolerance to abuse than copper wire. 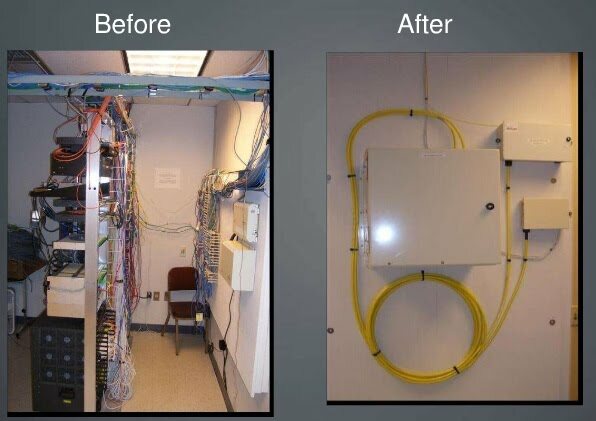 Not too many years ago, fiber was a novelty, and there was little fiber optic installation experience in the industry. Copper was the king. In today's high speed networks the reverse is true. While copper is restricted as far as speed, fiber can look at the very high speed industry future with supreme confidence. The Secret To Success In Fiber Optics Installations Is Training! Our stellar reputation among Fiber Optic contractors is due to the continuous investment we make in training each Fiber Optic Cable Technician on our staff. We are a California Certified WBE. We are fully insured and carry all manufacturers. There is no job too small or too large. Whether you require one line or one thousand lines, we will do the job efficiently, to spec, and on budget. Fiber to the desk top applications are increasing due to cheaper bandwith and requirement for delivery of video and faster application to the desk top. Business become more aware of all the benefits that fiber can provide. For example, a single LAN node can easily be extended to remote locations as far away as 100km on fiber optic cable when operating in a full duplex configuration. The use of fiber also increases the bandwidth. As a result even more data can be transmitted over these increased distances. Furthermore, the security of fiber can not be disputed. Originally used during the cold war, fiber is very difficult to tap into and is immune to EMI/RFI. Copyright @ 2019 Innova Global Technology Inc. All Rights Reserved.